Clean. Classic. Tailored. UnFred. Unexpensive. Typically, the first 4 can’t exist in the same space as the last descriptor. However, when I caught wind of Search and State’s NYC/USA made S1-A Riding Jersey ($125USD), I immediately concluded it satisfied the first four. Upon checking the price, it was obvious it fulfilled all of them and I knew I had to give them a try. Luckily they were willing submit one for a ride and review. Nothing better than coming home and seeing a package on your doorstep. 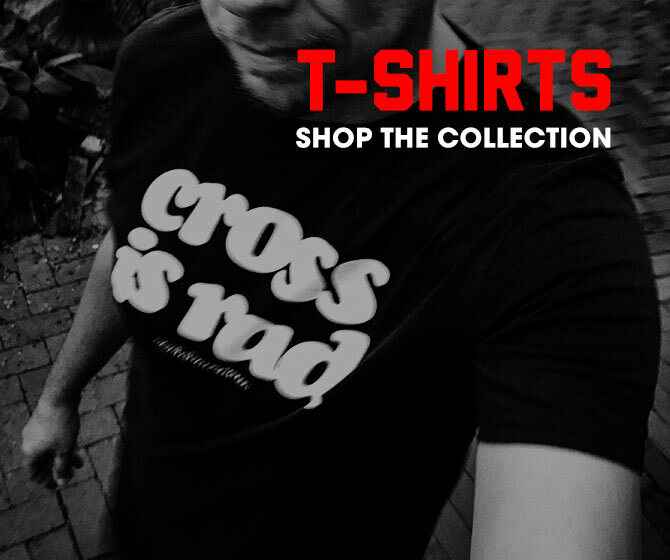 Except when it’s branded well and you know it’s bike stuff. This is one of those cases. 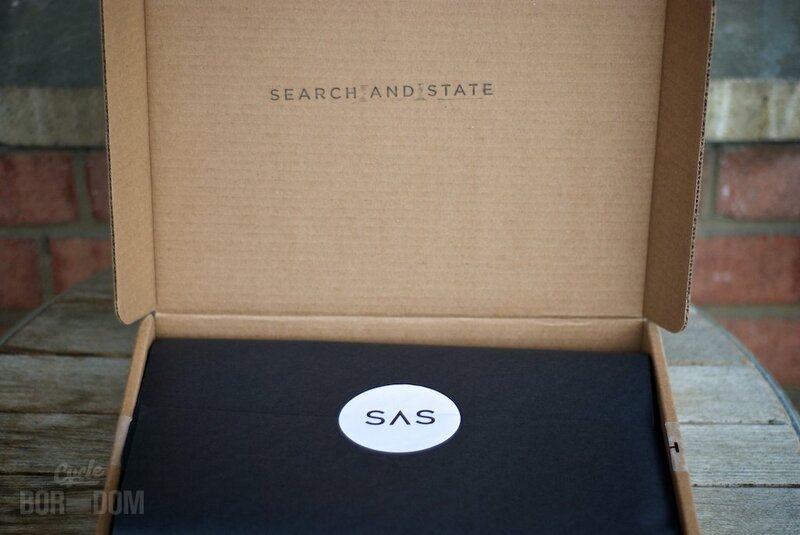 Normal brown shipping box, yet adorned with a tasteful stamp and sealed with simple logo tape. Inside, I was pleasantly surprised by yet more branding. 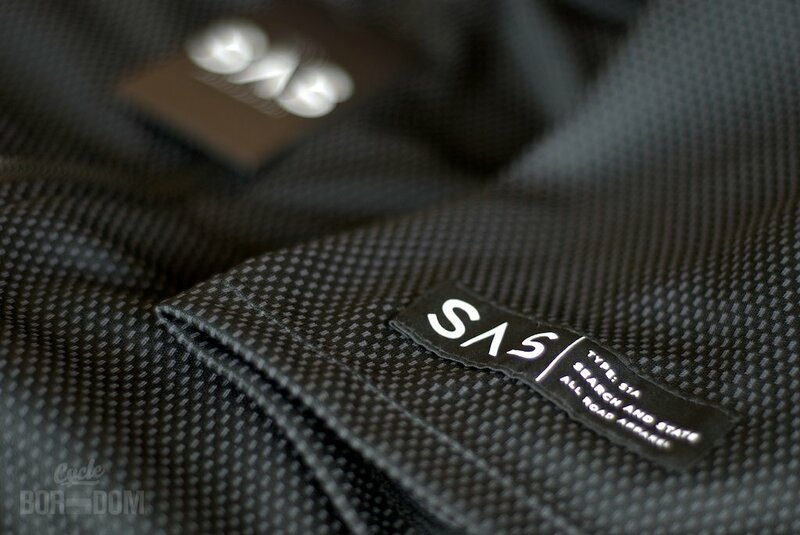 The black paper wrapping is a charming reminder of SAS’ wonderfully small operation. Based on the images from their site, I had a certain visual expectation. Let’s say it was both met and exceeded once I peeled back the sticker, unwrapping the piece. 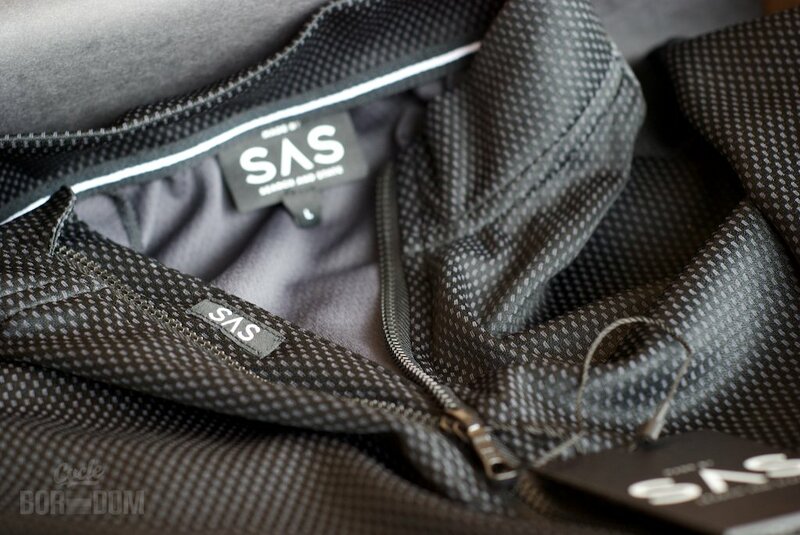 Two-toned fabric pattern isn’t readily discernable on the SAS website. It creates a nice subtle pattern and something a bit different than solid black when viewed from distance. As of this posting, I’ve already had 4-5 decent rides in the jersey. I’m impressed by the fit and the feel—it makes me look thinner than I deserve. Heads definitely turn, gazes border on rude as I come across other riders. You look and exude PRO. Full What I’m Riding review of technical features and durability to follow after many more rides. 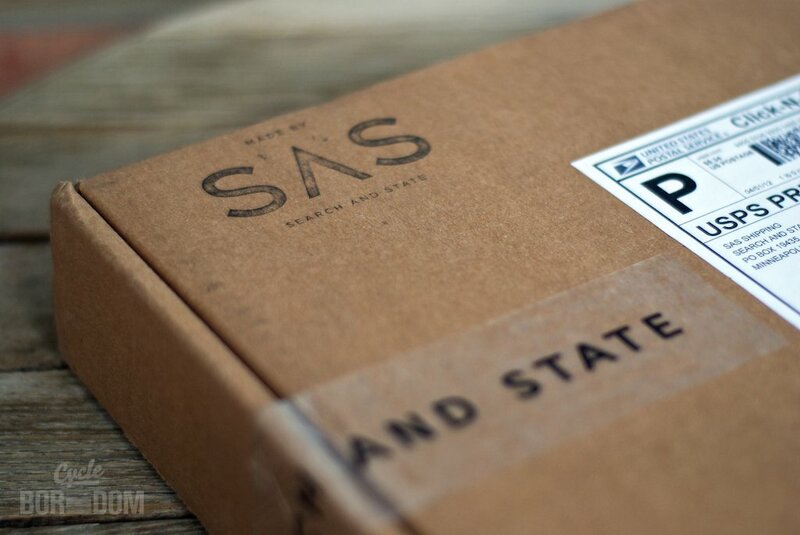 SAS is, amazingly, a USA based operation run by Devin O’Brien and Daniel Golden. 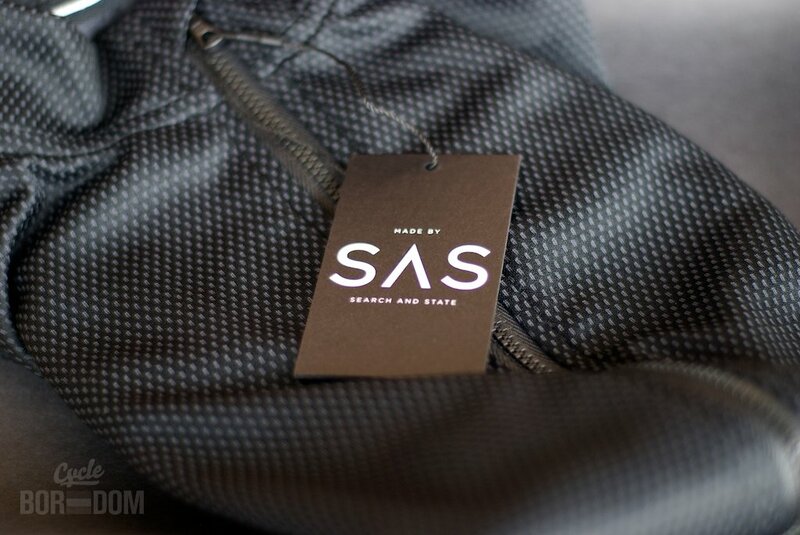 The garments are handmade in NYC. But for more information, I’ll point you to Prolly is not Probably’s recent interview, and Headset Press’ feature on them. What is First Look? It’s not a review. It’s not a post-test declaration of quality or lack thereof. What it is, is an observation. It’s a reaction. It’s an experience of a product up until the moment it’s worn, used, applied, etc. It’s a first look. First Look is a necessity for a couple of reasons. Mainly, I take forever to ride/review products. I want to burn them into the ground, reporting whether or not they’re fashioned of pure, unadulterated PRO. Unfortunately, this doesn’t allow my input to be a part of the conversation while it’s timely and important. That’s obviously bad for me, but also not attractive to those who’ve submitted products to maximize visibility.